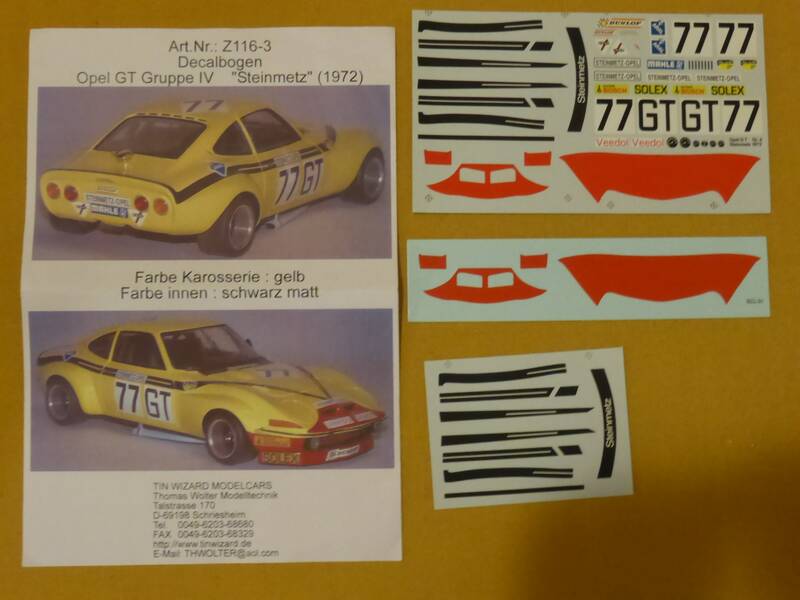 decals for Opel GT 1900 Gr.4 Steinmetz #77 1000km Nurburgring 1972 Christmann/Ragnotti 1:18 scale Tin Wizard Z116-3 for Minichamps etc. 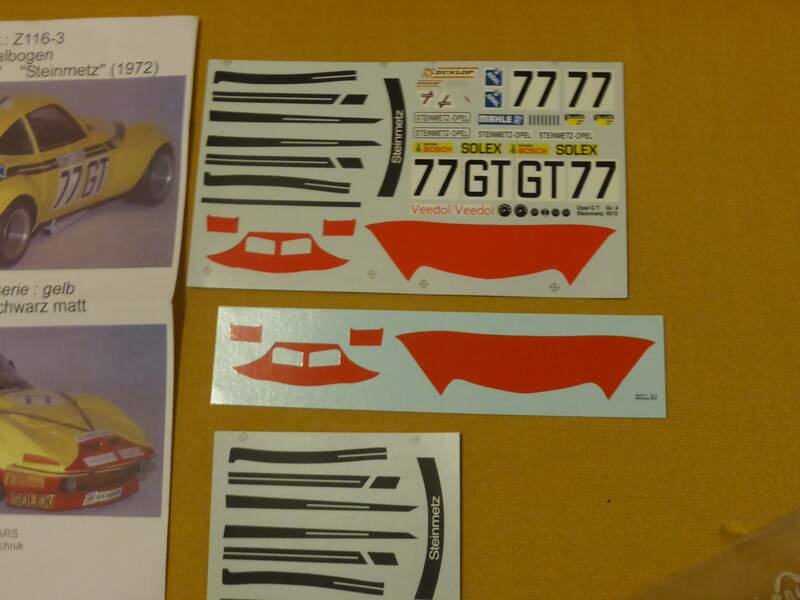 First quality decals sheet, 1:18 scale. Full decals sheet with instructions. 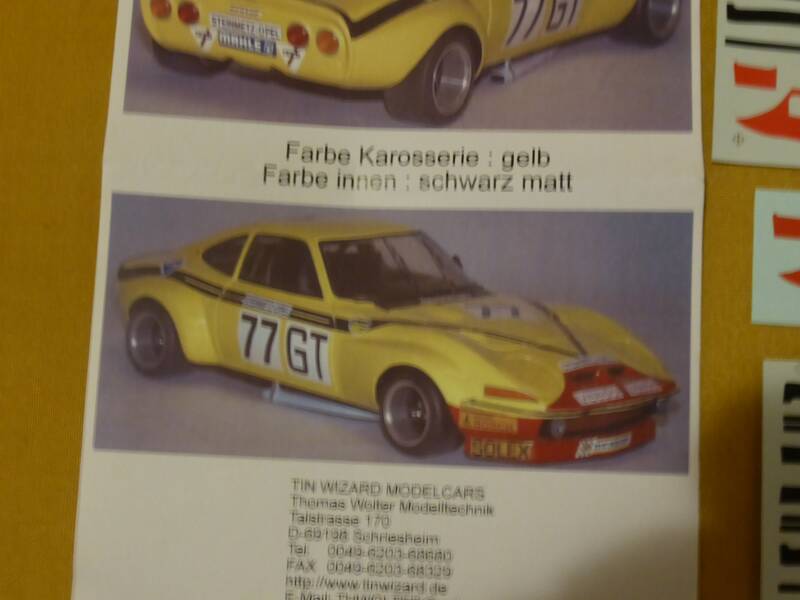 For Minichamps and other diecast models. We also have a transkit to further improve the Minichamps model.